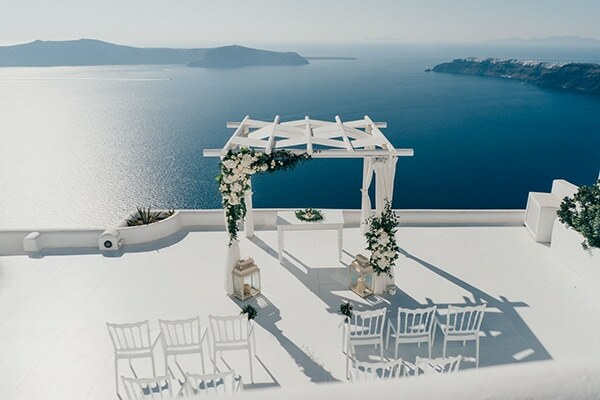 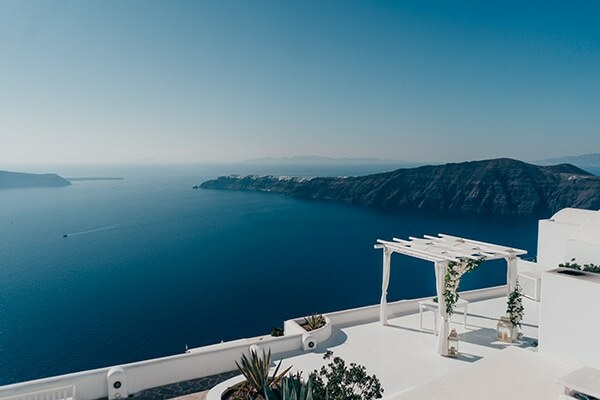 Santorini is one of the most romantic and magical wedding destinations that many couple choose for their big day. 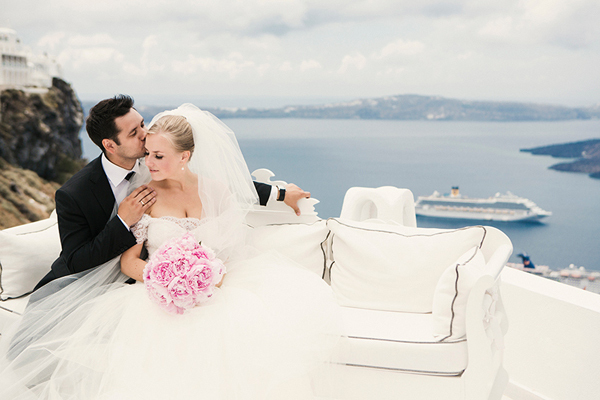 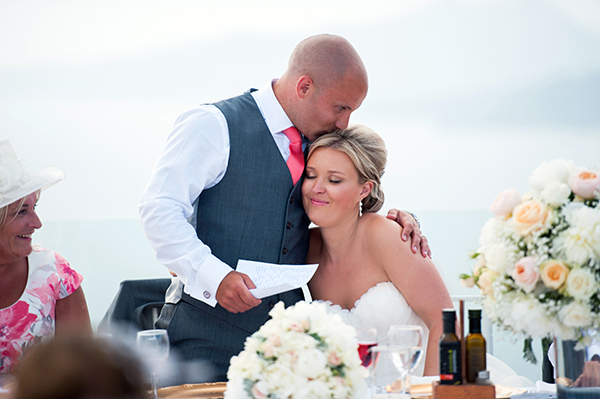 Today we’re sharing another gorgeous, intimate wedding in this paradise on earth, that will steal your heart! 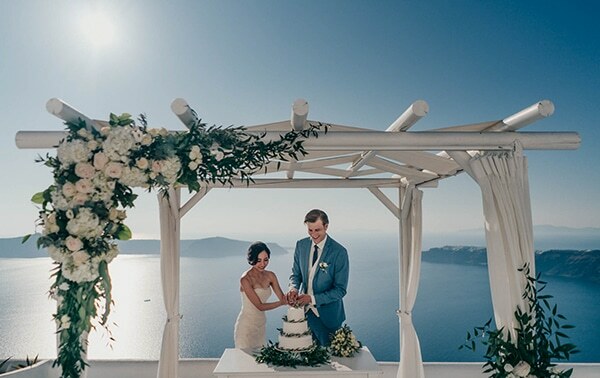 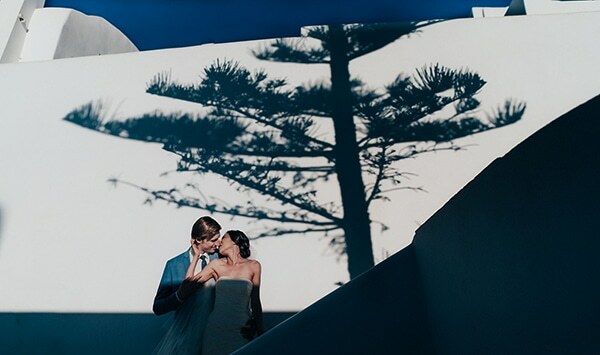 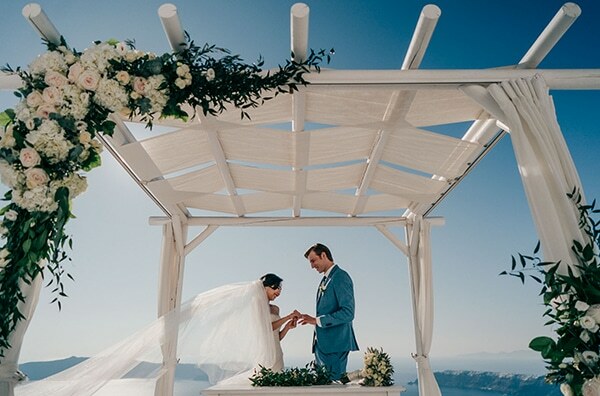 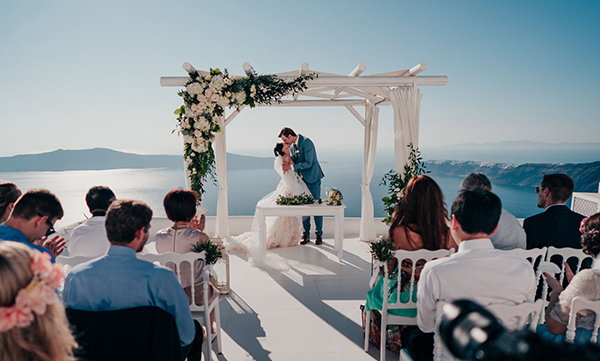 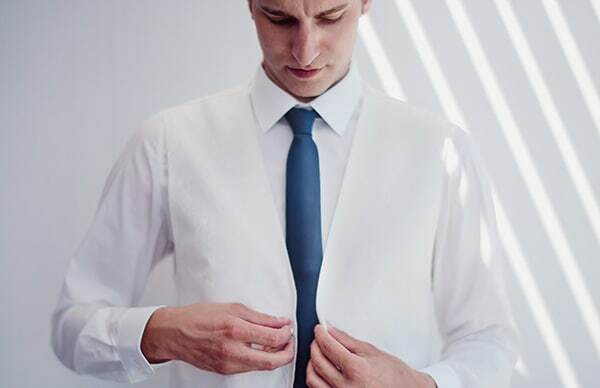 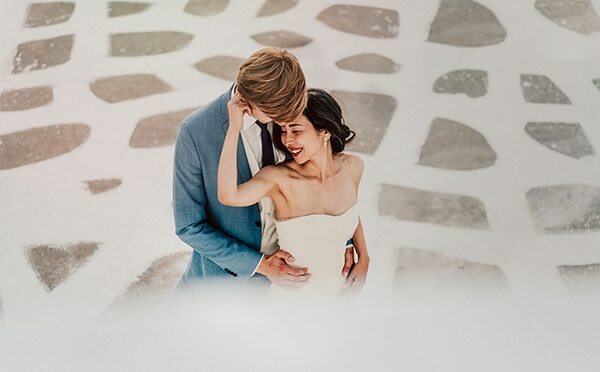 Inspired by the clear Greek beauty of this island, the couple created the wedding of their dreams and sealed their love in front of their family and some close friends. 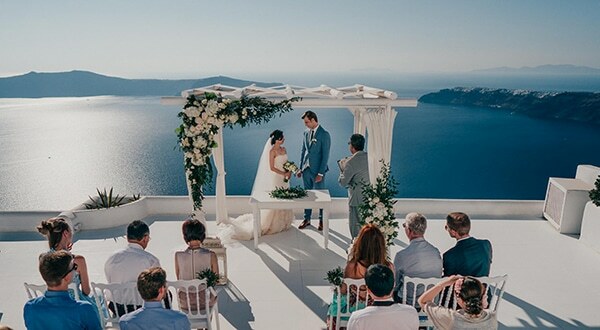 For the ceremony, they chose Andromeda villas, a stunning luxurious venue with a breathtaking sea view that you can’t stop staring! 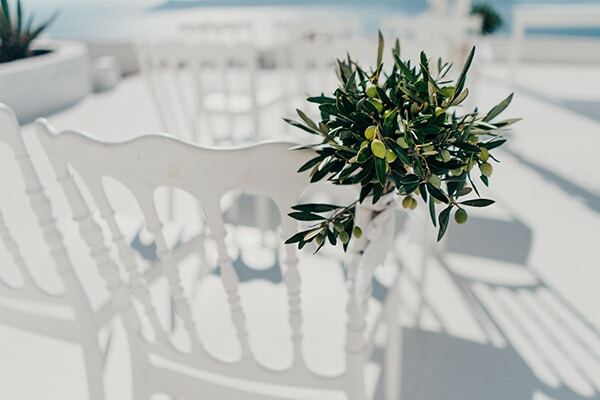 The decoration was dreamy and simple with white as the dominant color and green fresh details, such as flower bouquets and olive leaves. 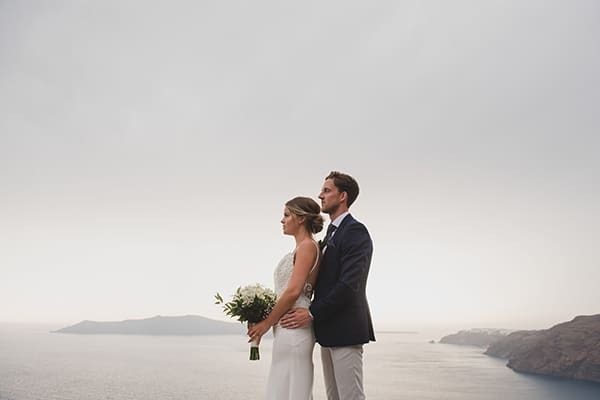 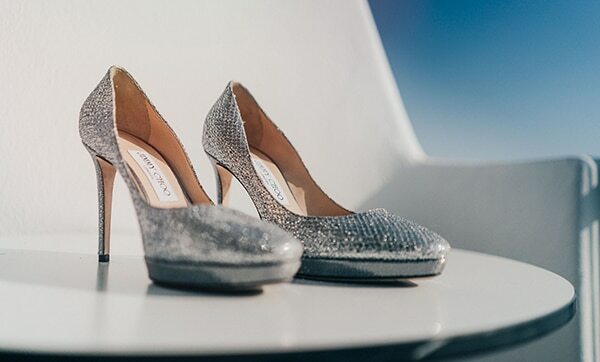 Feast your eyes on all this prettiness captured by Roberto Panciatici Photography!